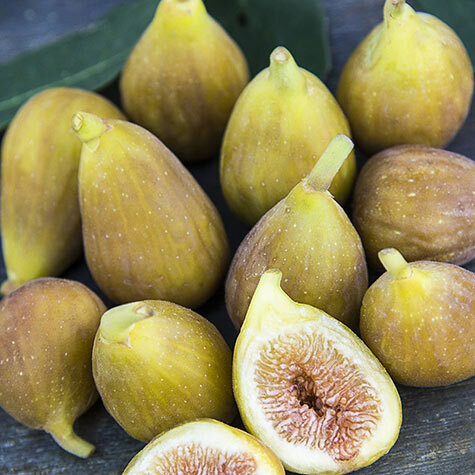 Hunt Fig | Gurney's Seed & Nursery Co. Interesting sweet flavor is excellent for fresh use. 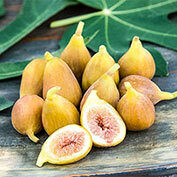 Smaller fig size than others, but is a reliable producer of large crops because it is very cold tolerant. Amber-colored flesh has fewer seeds than others. Well adapted to humid, rainy areas of Southeastern states. Zones 7-10. 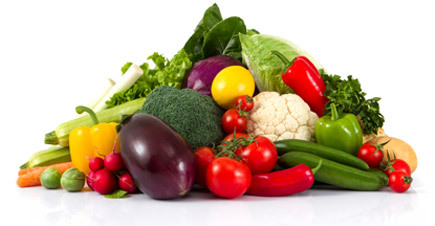 Comments: Fruit has a short stem but long neck, allowing the fruit to hang down as it ripens. 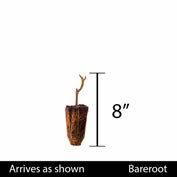 This habit adds to it's rot resistance, as the eye of the fig is less adapt to fill with water. Long ripening season. The trees are very dependable producer. Rich sweet flavor. Closed eye.